Black and white photograph of a farm, consisting of a large, two-story gabled house with a smaller house behind it, a large barn, and two smaller houses. 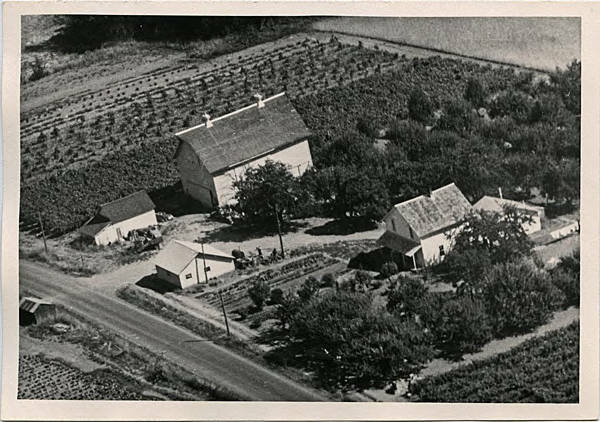 An orchard fills the area behind and beside the largest house, and cultivated fields fill the rest of the image. Power poles line the dirt road in front of the house and along the drive way into the house.